B.C. Liberal Leader Andrew Wilkinson spoke with On the Coast’s Gloria Macarenko about how his party hopes to work with the NDP to “clean house” in order for the legislature to regain the public’s trust. An explosive report by Speaker Daryll Plecas on overspending and questionable financial transactions by senior officials in the B.C. Legislature has left many in Victoria on unsteady ground as MLA's debate how best to move forward. B.C. 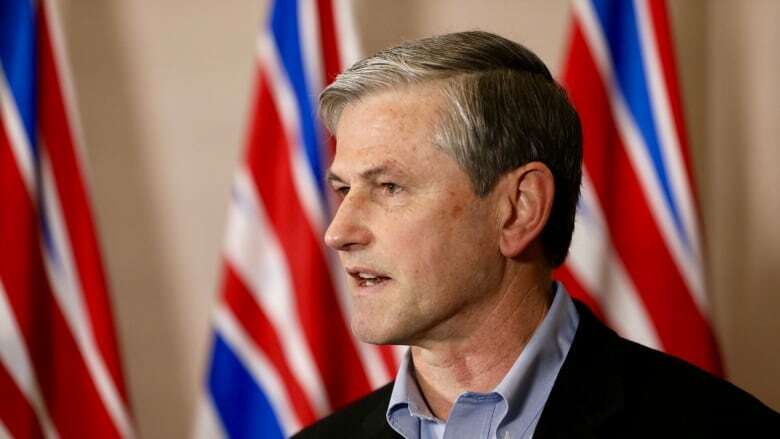 Liberal leader Andrew Wilkinson spoke with On the Coast's Gloria Macarenko about how his party hopes to work with the NDP to "clean house" in order for the legislature to regain the public's trust. That's an offer Horgan quickly rejected. You told reporters it was time for the government to completely clean house. What did you mean? It's time for all of us to pull together in this legislature and clear the reputation of this place. The people of B.C. expect their provincial government and the legislative assembly to be run with integrity. That's been called into question. It's time for us to all pull together and stop the partisan sniping of who's at fault and fix this. But doesn't your party have a lot of questions to answer? I think all parties have a question to answer here. We [the B.C. Liberals] worked very hard to get disclosure of MLA expenses back in 2014 and we made significant progress. But now we have these allegations from the Speaker that need to be clarified. In my estimation, the public is fed up with this kind of thing and it's time for us to all pull together and clear the air. What do you make of Premier Horgan's response to working together? It's unfortunate and I'm not going to use this opportunity to lay blame on John Horgan. My suggestion is it's time for all of us to put down the swords and start talking about a better way of doing things. I've suggested that the auditor general of B.C. be asked to produce a fairly prompt accounting process which will clear the air on these things going forward. In 2012, Auditor General John Doyle released a scathing report into the financial management of the legislature, just a year after Clerk Craig James, was appointed. Why wasn't action taken at that time to bring tighter controls to the clerk's office and the legislature? It was done. It was conducted at the time by Mike de Jong who forced everyone into total disclosure of expenses. The people who were exempted from that were the clerk, the sergeant at arms and the Speaker. It was thought to be unnecessary at the time because we all understood that things were functioning the way they should. It turns out we may well have been wrong. A lot of the issues identified in Plecas' report took place while Liberal MLA Linda Reid was speaker. Have you spoken with her? I haven't spoken with Linda Reid yet because I want her to have her own opportunities to sort things out without any involvement from me. This institution is responsible for spending $55 billion a year in B.C. of taxpayer's money. It needs to have a reputation for integrity. Let's clean house. Let's put a ban on foreign travel unless it's been pre-approved. Let's have postings of all the expenses of all the staff at the legislature so this cannot happen again. 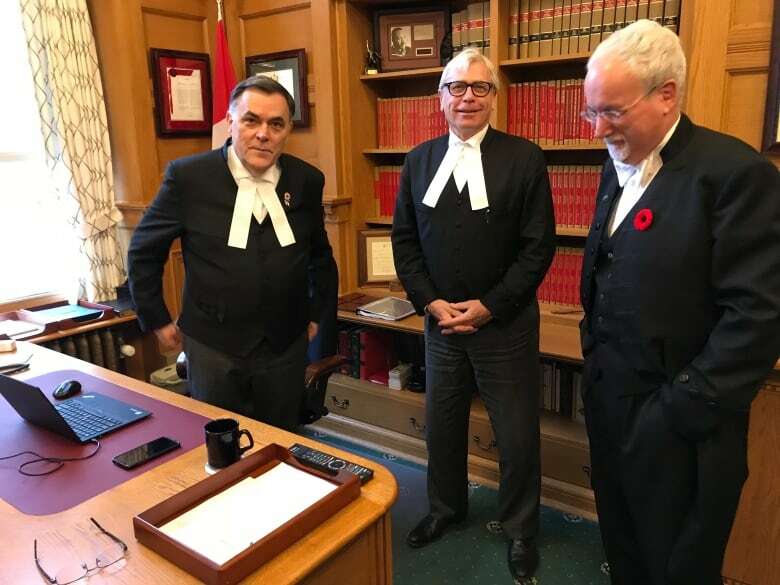 Do you think we need a clerk and a sergeant at arms in the legislature today? Well, they do serve a function. However, this issue of being appointed for life stopped making sense a long time ago.